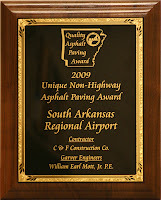 Garver received the Unique 'Non-Highway' Asphalt Paving Award from the Arkansas Asphalt Pavement Association for airfield pavement work at South Arkansas Regional Airport in El Dorado, Arkansas. 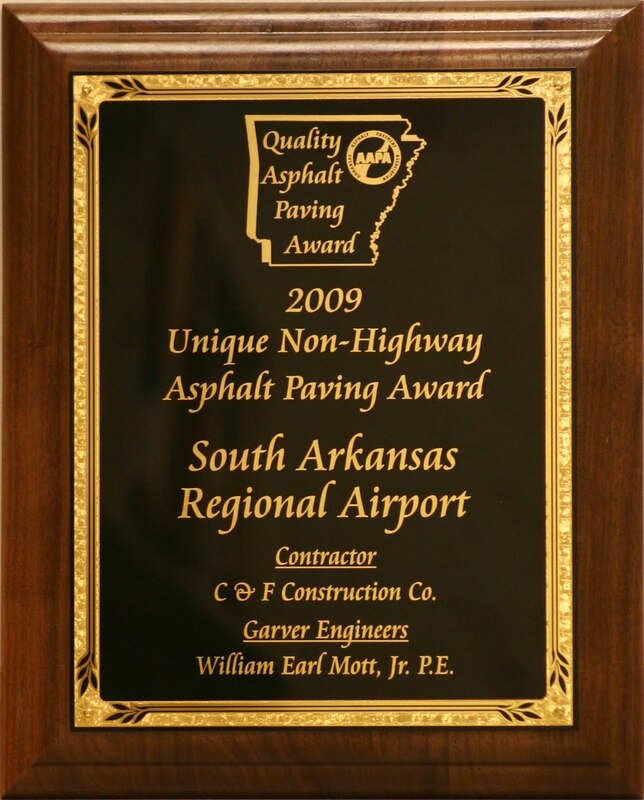 The project consisted of a an asphalt taxiway pavement rehabilitation and overlay for taxiways north of Runway 13/31. This included a 2-inch asphalt overlay, cold milling, pavement marking, and edge grading. Garver's services included design, construction support, and grant preparation.